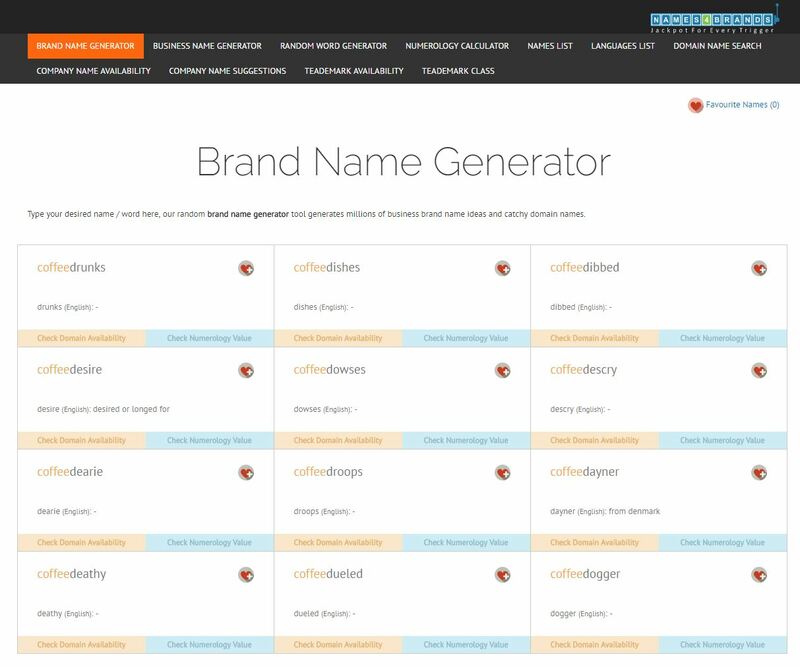 Update July 2018: We’ve added even more business and brand name generators that will help you find the perfect name for your new brand! Now that we talked about choosing a brand name for your business and why it is important, we’d like to give you a very handy list of brand name generators with short descriptions for each. How do brand name generators work? You simply enter keywords, which you find suitable for your business. 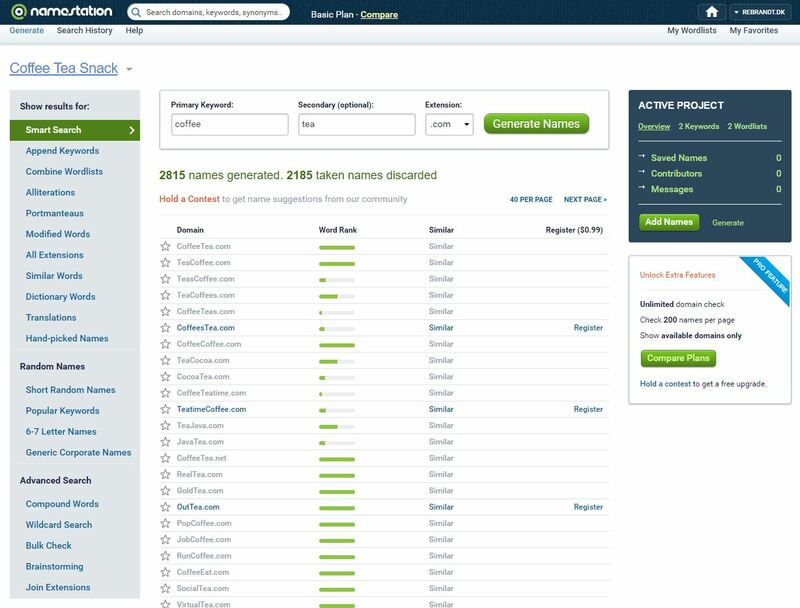 Then, the generator checks the availability of domains with these keywords included. 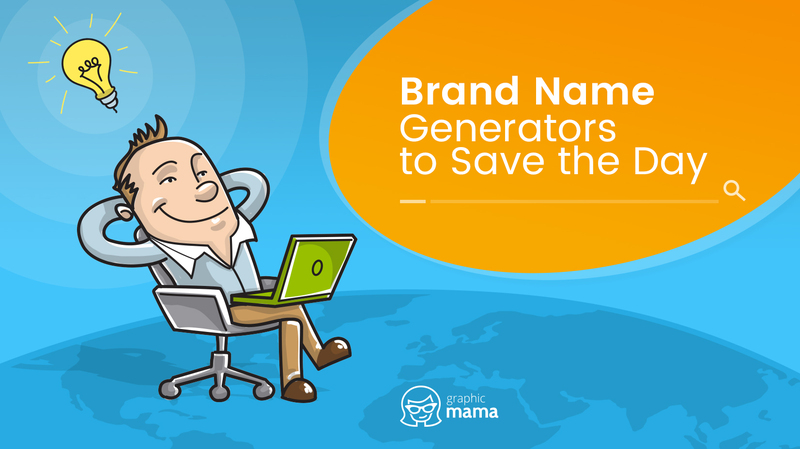 Most of the brand name generators online offer extra service – giving you extra and creative suggestions for names, based on what you entered in your search. They take it one step further, with offering categories and filters, to speed up the process even more. A super easy to use tool by Shopify – you just enter keywords and it generates a bunch of suggestions, with available domains. It is a great tool to use in your brainstorming session as well – it gives you many options related to your keyword. Some of them would sound a bit generic, but at least they will warm you up for the real baking of your brand name! Oberlo is a platform helping dropshipping businesses thrive. Oberlo offers a wide array of useful services for their users and website visitors. 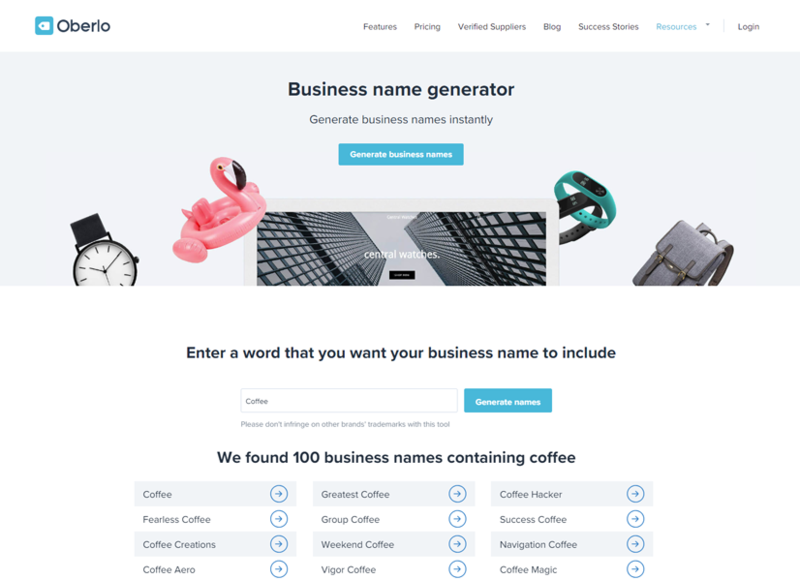 Recently, they have launched a great creative business name generator tool that can help you find the perfect name for your business, no matter if related to dropshipping or not. Of course, they kindly remind you not to infringe on other brands’ names. 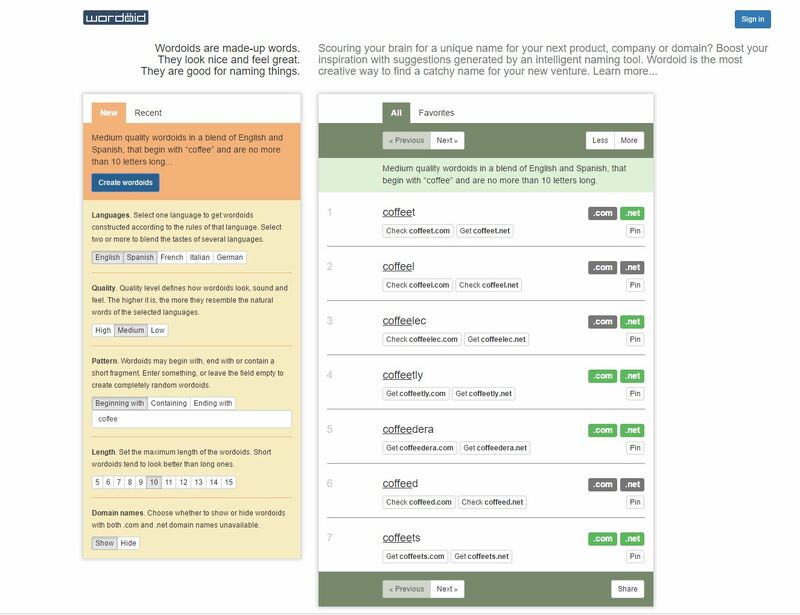 Namelix is a quite different business name generator tool which uses artificial intelligence to generate short, catchy names. 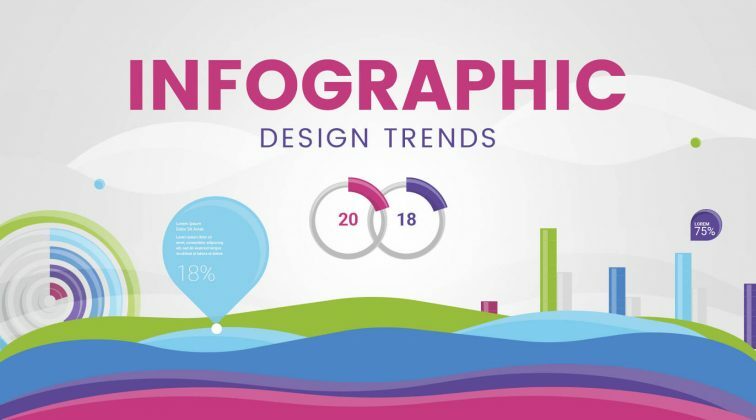 What we love about this platform is that it visualizes the different suggestions giving you a clearer idea of which names would match your business identity better. The tool not only gives suggestions containing the word you wrote but also related words and concepts. 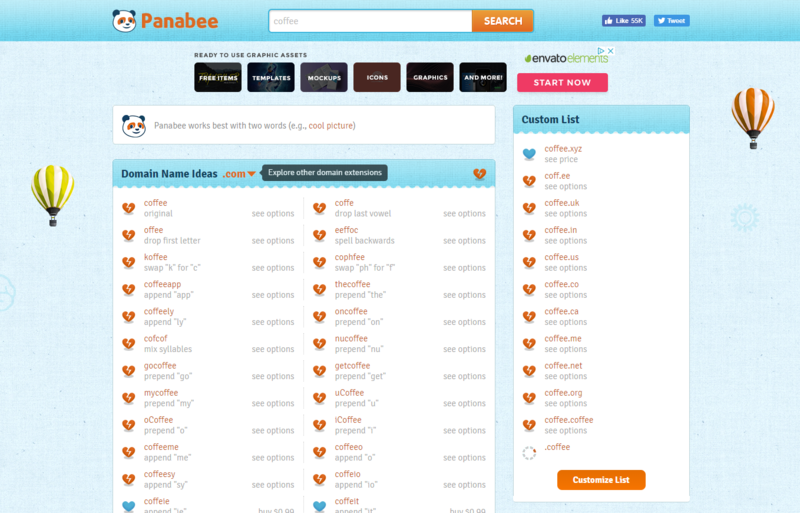 You also have the option to search for shorter names and available domains with your preferred extension. 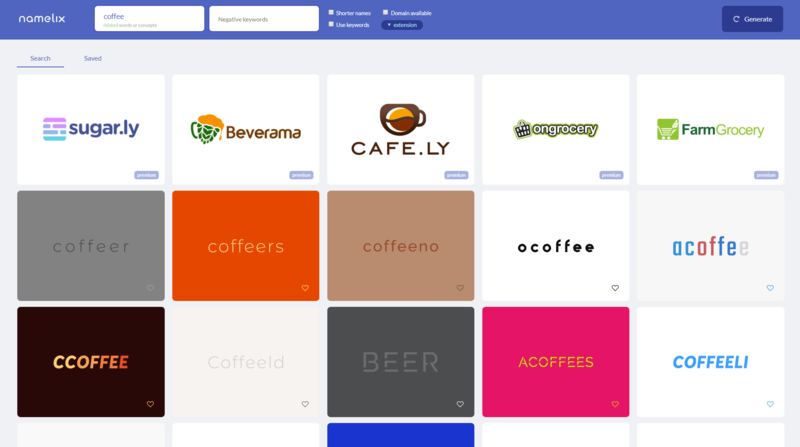 Panabee is a brand name generator which will help you find just the right creative name for your brand, company, or app. It works best when you enter two words. The default domain it searches for availability is .com but you can easily change it. Panabee marks the unavailable results with a broken red heart, and the available ones – with a full blue heart. 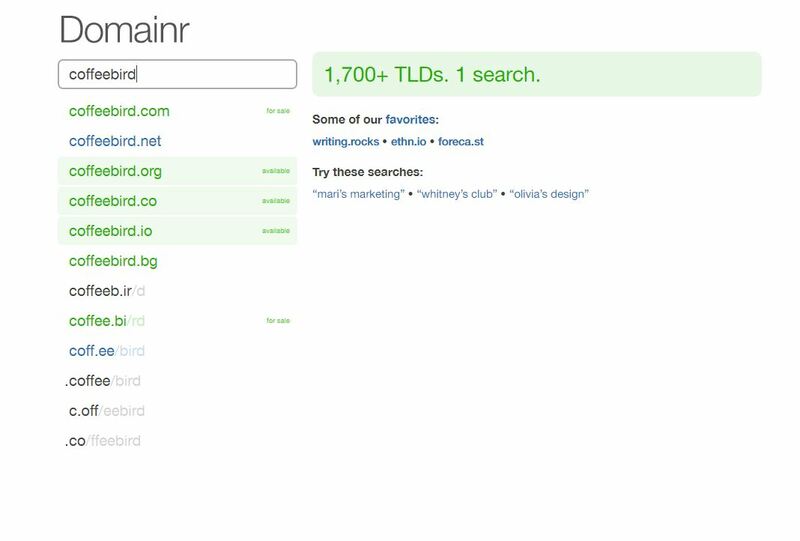 Another tool for checking the availability of a domain, by entering keywords. The nice thing here is that you can do some basic sorting of results by length of the name, popularity and alphabetical. Other than that, it offers a great variety of options, similar to Shopify‘s Generator. We really like NameStation, because it has several filters, before generating results, which can narrow down the suggestions and save you time. It also shows which suggestions are familiar to existing ones, which ones are popular and also offers you to register straight away. If still not satisfied with your search, you can change the way it generates the names for you, at the bottom of the page (or using the menus on the left of your screen). 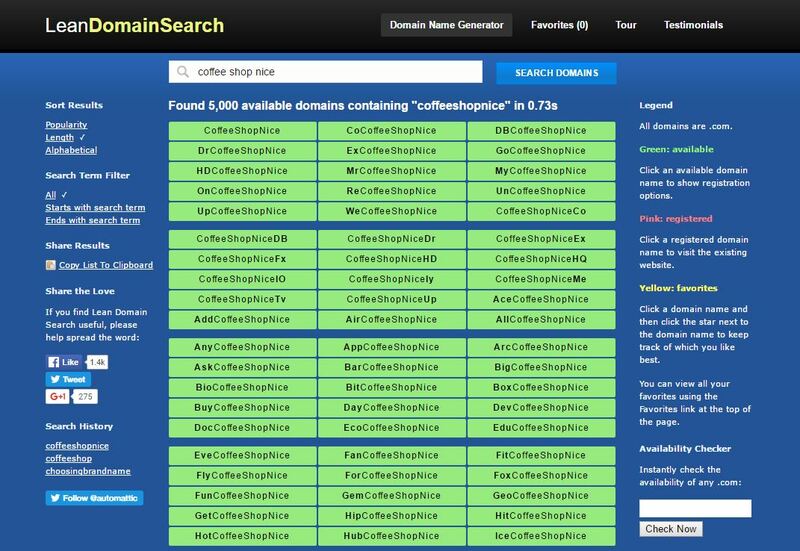 DomainHole offers several tools for checking availability of domain, brainstorming, etc. You can check the availability of domains by country as well. Another useful feature is, that it can give you alerts when an availability status for a domain changes. It comes handy, when you are taking time to make the decision for name of your brand! 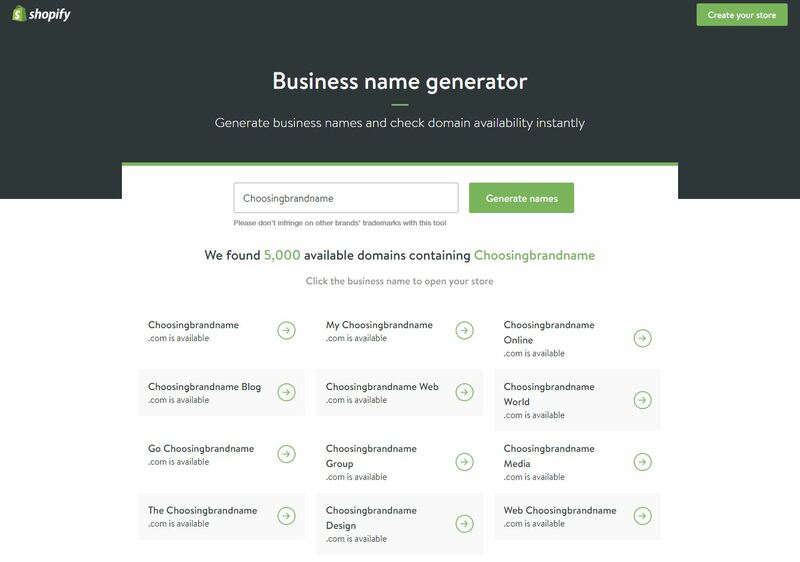 Cool Name Ideas can come in handy not only if you are looking for a creative business name generator but also if you find yourself in need of a blog name or a product name. Simply click on one of the options and Cool Name Ideas will load the tool. Before giving you suggestions for names, this tool will ask you a few questions about your type of business. If you want a simple interface, allowing you to go straight into checking of the availability of a domain for a name you like – Domainr is your place. It also shows domains for sale, highlights the available ones for easy and fast scanning of the results – overall, very user-friendly! 10. 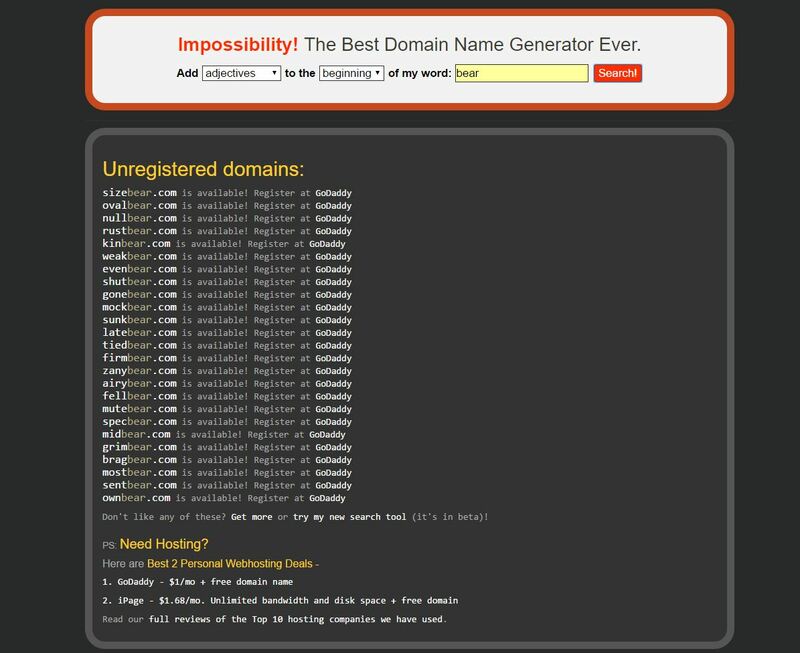 Domain name generator Impossibility! Impossibility is very creative when it comes to giving suggestions for names. For example, you can choose a keyword and ask to add adjectives to the beginning. We tried it out – for a “bear” we got “samebear”, and for “coffee – “coffeeedgy”. Sounds cool, doesn’t it? Check it for yourself! 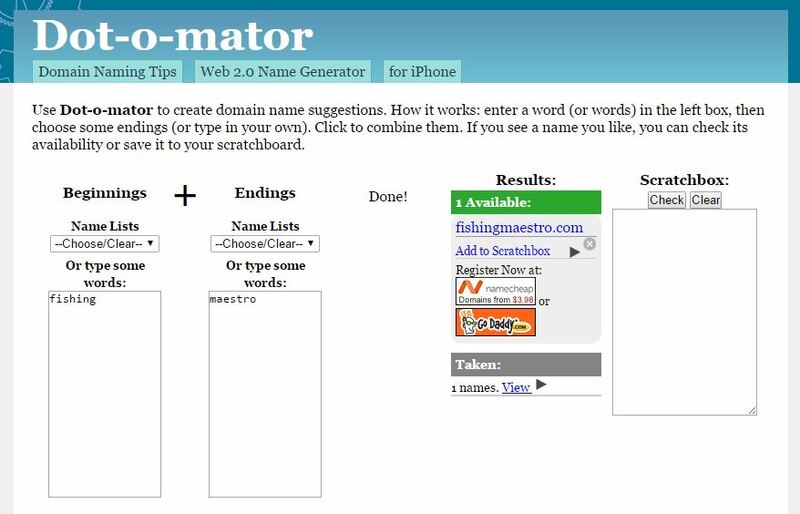 Dot-o-mator is another simple to use business and domain name generator. They even have domain naming tips, which can be very useful for newbies. You can check availability for names you invented. Moreover, the website also has some useful categories (games, colors, etc.) which you can mix and match and the generator will come up with some cool suggestions. A very cool tool in which again you can use roots of words from different languages. There is a super easy navigation to tell the generator if you want your keywords in the beginning, containing, or in the ending of the created suggestions. The generator even evaluates the quality of the naming – how it looks, how it sounds, and if it resembles other existing names. As the intro on their website says, it is a generator for made-up words. 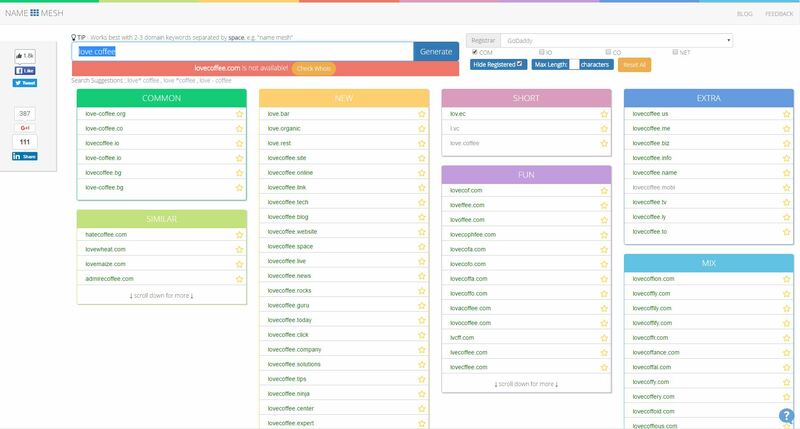 On top of checking availability fo domains for your keywords, this generator categorizes your results in sections: ‘Fun’, ‘Extra’, ‘Short’, etc. Make sure to uncheck the “hide registered” box in the upper right corner, so that the generator shows the taken names in red – it is easier to scan your results. We promise the results are fruitful. Get creative with generating names in different languages and in various combinations. A great website to check availability, to generate random words, etc. The cool thing here is that you can generate words from different languages to match your main keyword. For example, we entered ‘coffee’ and we got ‘coffeedcouvrir’, which means coffee-discover. Sweet! One of our favorite brand name generators. 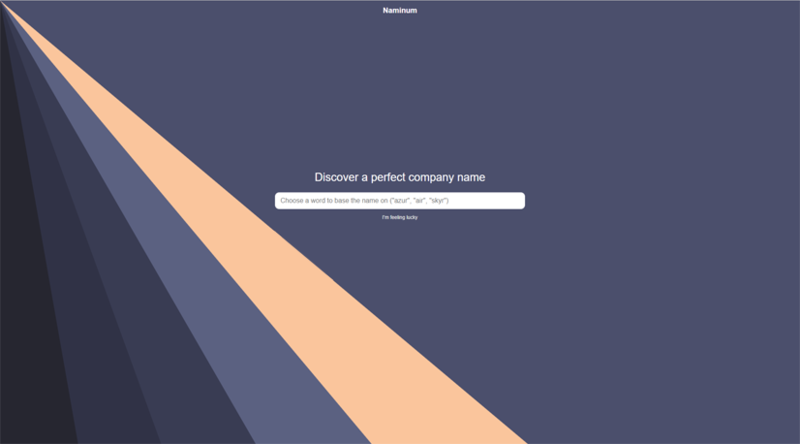 Naminum is a quite easy to use brand name generator tool with a few handy filtering options. You can choose to get suggestions for the keyword with an append or a prepend. Also, Naminum lets you specify your target audience. The default option is Global but you can choose a specific language-speaking audience between English, Spanish, German, Italian, and French. Brand name generators are quite useful nowadays with so many ideas popping into the heads of entrepreneurs like you. Luckily for all of us, inventing brand names for all new business ideas is now easier than ever with so many brand name generators available on the web. 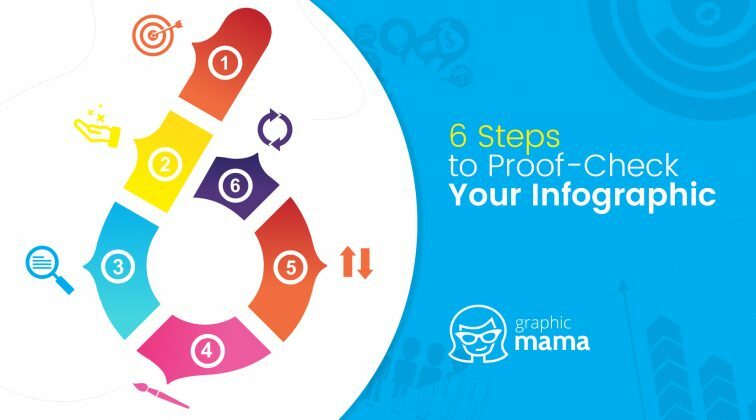 We really hope this article was useful for you. Why don’t you leave us a comment below with your thoughts and possible questions? We’d be glad to hear from you. Meanwhile, have you considered using a mascot for your new brand? 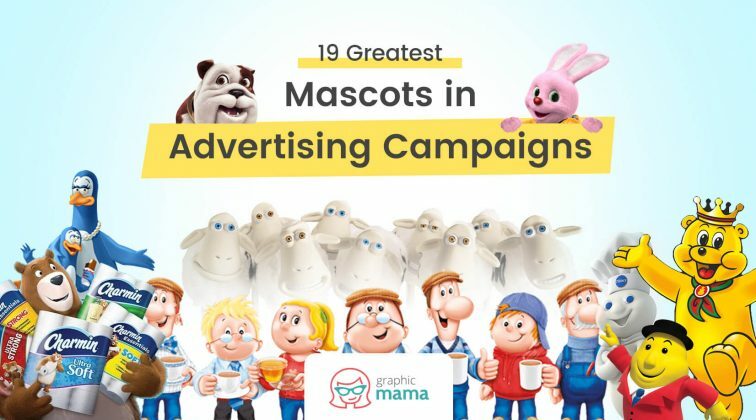 Check out some of the most successful brands who gained recognition thanks to their brand mascots. Enjoy! The way how you explained all the things very clearly is highly impressive. 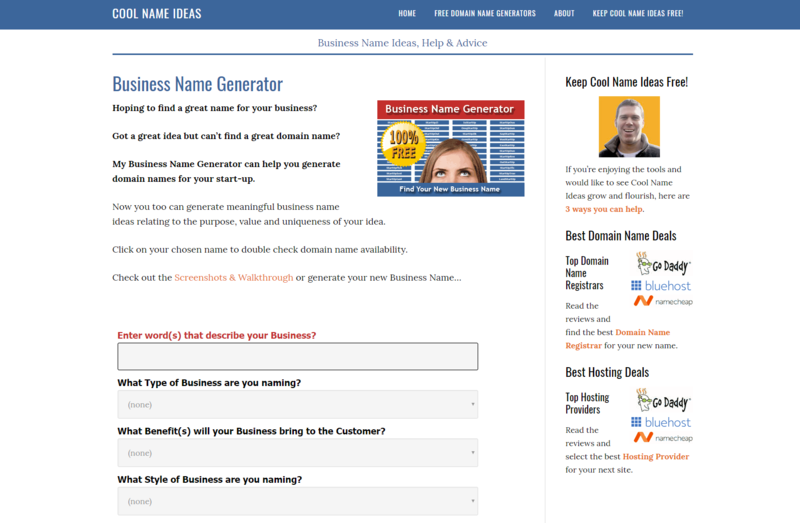 May I request you to add another online name generator for business in your blog-http://www.onlinenamegenerator.com.